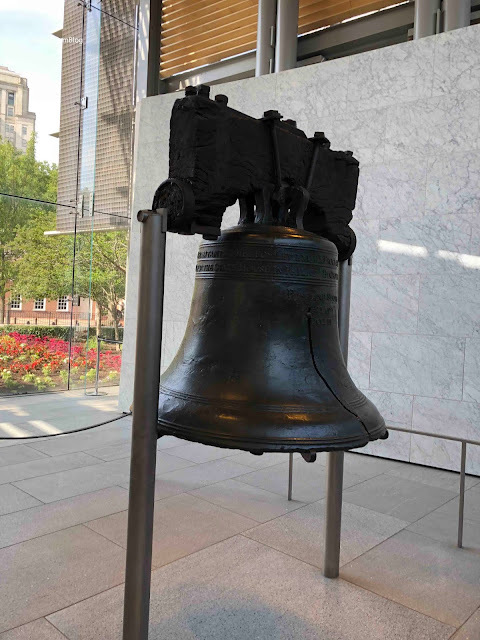 Our first stop while in Downtown Philly was to see the Liberty Bell. We went to the Liberty Bell Center approximately 30 minutes before opening time, and there was a class of students already in a line. Promptly at opening time, the doors open and everyone goes through a security and bag check. At the Liberty Bell Center are exhibits, as a well as a short video, but we bypassed all of that and went straight to the Liberty Bell to take a look and get photos. 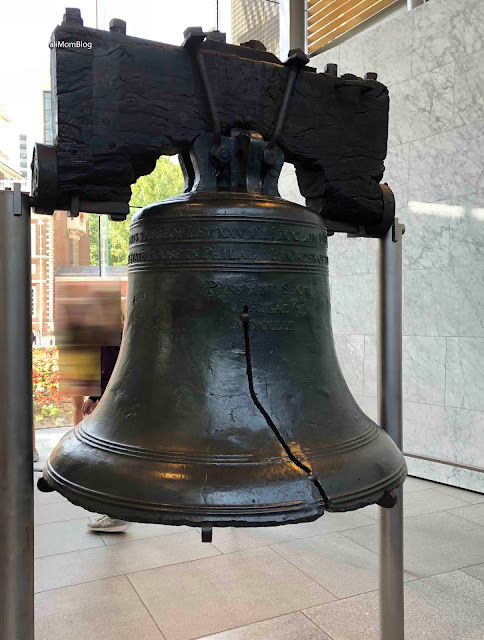 We did take some time to look at the exhibits after we got our photos, but we were really just there to see the Liberty Bell and its famous crack (which I was astonished to discover was actually the "repair job"). It was neat to see the original Liberty Bell - a symbol with a message to "Proclaim Liberty Throughout All the Land Unto All the Inhabitants thereof." There are no tickets required to enter, and the security line moves fairly quickly, so if all you want to do is snap a pic of the Liberty Bell (like we did), don't let a long line deter you!